To witness Anthony walking at the reveal was something none of us will forget! Last time we left the family, Anthony could only scoot. Now he is walking and loving all the soft carpets in his sisters’ bedrooms. He even signed “thank you” to us and gave out kisses to Emilia, George, Ken and Shelley. 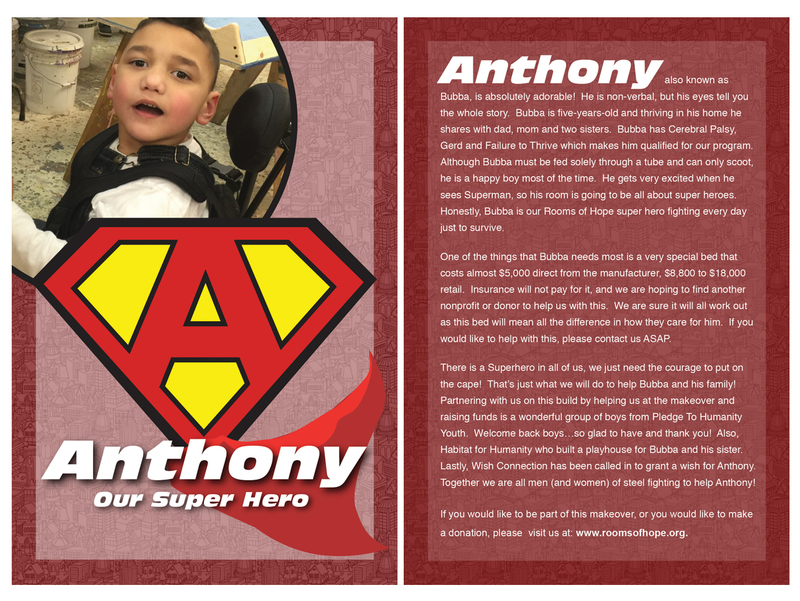 For being nonverbal, Anthony certainly told us all how much he loves what we did for him and his family! This is why we do what we do… bringing hope and joy!